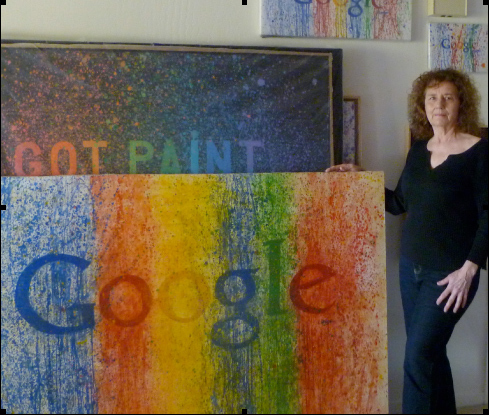 The back story: GOOGLE SPLASH paintings by San Francisco Bay Area artist Laura Lengyel. 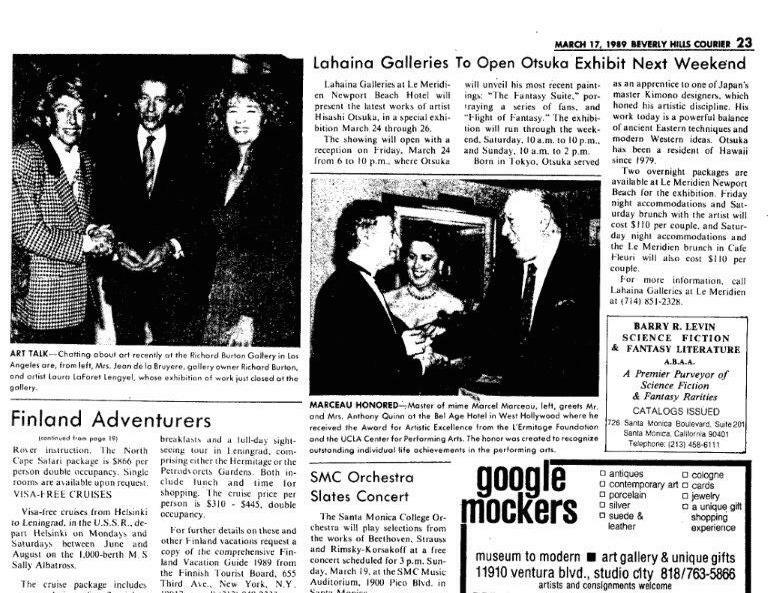 The artist created the paintings in 2013, originally inspired by “Google Mockers” art gallery ad in Beverly Hills Courier, March 17, 1989, printed on the same page as her solo show announcement at Richard Burton Gallery. 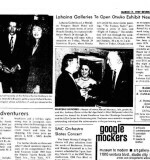 Available works by Laura Lengyel, for private sale & viewings. Never shown. Hand painted in 2014, originals. Got Paint 257 Google Splash I. 9×12 acrylic on canvas. Got Paint 258, Google Splash II. 14×28” acrylic on canvas. Got Paint 259, Google Splash III. 48×68” oil on canvas. Warehouse studio: 47 De Luca Place #3, San Rafael by appointment. Contact the artist for prices, availability, framing, shipping & delivery.